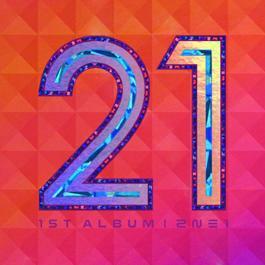 So finally the fierce females of 2NE1 have released their first album! I wasn’t all crazy about them releasing an album, but I do like listening to them every now and then. Okay first things first, this album is heavily auto-tuned and that’s a big no-no on YG’s part. The album starts off with Can’t Nobody, a “fun” dance track with mainly Bom and CL taking charge. The synth in this song is all over the place and towards the end is headache inducing. Now comes Go Away and the auto tune sounds so out of place; it messes up the chorus. Bom’s voice sounds a little stained in the chorus sometimes, but overall it’s an okay song. 박수쳐/Clap Your Hands is like an upgraded version of Fire. The chorus is very cute and almost doesn’t go with the song. The intro of 난 바빠 / I’m Busy reminds me of Bo Peep by T-ara. I feel like this another fun song,but I don’t really care for it. 아파 (SLOW) is Minzy’s song; goodness that must be why they took almost a year to release a new album. Seriously, Minzy’s voice has improved and the bass in her voice is beautiful. CL and Bom should sing more!사랑은 아야야 is very pretty and it still has that sass that Slow lacks. You & I was a great solo track. Bom has a really amazing voice and I’m glad she had a chance to show that off. Please Don’t Go is CL and Minzy’s song. Fun song and that’s all I have to say about this one. Kiss is Dara’s song. We all know that Dara doesn’t have the strongest voice in the group, but her voice sounds average in this song. It shows off Dara’s fun personality . I think that 날 따라 해봐요 [Try to Follow Me] was trying to be another Fire, but it kinda failed. I can see how they combined their old style with the new but it didn’t mesh well. I Don’t Care (Reggae Mix Ver.) I love this version ! I prefer it to the regular version; the vibe just goes with the song. I have to say that I like Can’t Nobody (English Ver.) better in English.